Growth for a manufacturer with an automated assembly process can deliver a lot of positive effects on their business. 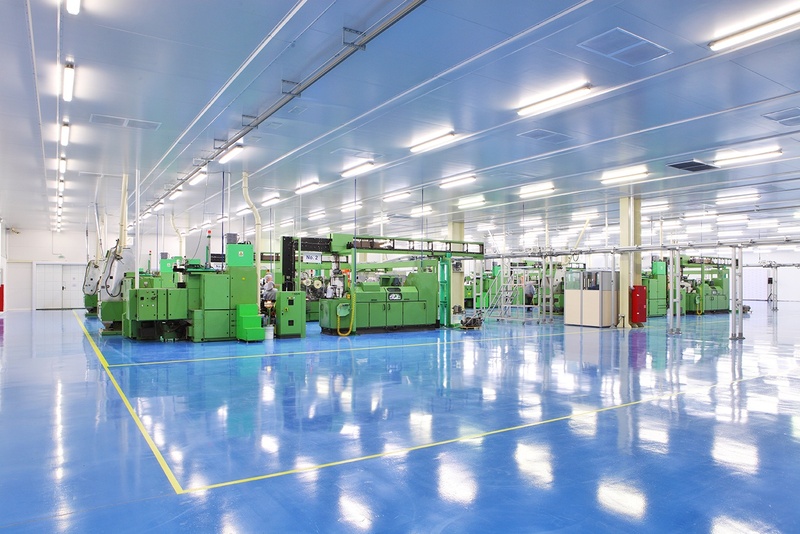 But one downside of growth a manufacturing client will struggle with is floor space. Particularly when it comes to conveyors, the process by which they manufacture their product can take up plenty of space. So, how do you optimize floor space? It’s simple, though not always easy: use the vertical space instead. Our expertise is in working with applications engineers to help reduce the amount of floor space taken by the conveying process, and instead applying flexible and innovative solutions wherever possible. There are unlimited solutions for solving conveyor challenges vertically with a flexible assembly automation conveyor solution. Here are a few examples of configurations Glide-Line has made collaboratively with applications engineers on behalf of their clients. Introduce a bypass to the conveyor using pallet elevators. Typically, introducing a bypass to a conveyor line will be on the same horizontal plane as the original conveyor, but will take up twice the amount of space (since it’s over twice as wide). However, using pallet elevators in the conveyor to lift the part above the belt while the traffic continues underneath saves space while fulfilling the original manufacturing objective. For example, let’s say your client needs a section of conveyor to perform an operation, such as putting screws in via a robotic arm with a screw gun. Increasing production by five times means adding five robots to perform the function. In a typical setting, you’d have several drilling stations working simultaneously, but you’d need several offshoot conveyors to remove the part, install the screws, and then return the part to the original trunk line. Accumulation is an essential part of many processes since it prevents a slowdown in production along a conveyor line. You design accumulation zones throughout an operation so the product upstream isn’t brought to a stop because of a maintenance issue or refill needed down the line. The client is able to get the machine up and running faster while not reducing the daily output of the process. Accumulation zones are essential, but they take up a lot of floor space. Sometimes you’re forced to compromise on accumulation because of space limitations. Instead, rethink how the accumulation zones work by thinking vertically. We’ve designed unique accumulation buffers to move and lift the accumulation zone above the trunk line in as many layers as needed. This avoids devoting a long area of the original line to accumulation, saving space and allowing for as much accumulation as needed for your client’s process. Replace traditional looping solutions with over/under conveyors. Looping is often the way you’ll design an automation conveyor system to return an empty pallet to the starting point. However, this race track look-alike takes up much-needed floor space with nothing but empty pallets. Rethink the traditional loop. Instead, consider installing a pallet elevator at each end of the conveyor able to rotate 360 degrees and return to the front above or below the trunk line. Instead of a giant loop all on one level, you’ve optimized by using the original belt line space twice by introducing a second level for the empty pallets. A space crunch can present a problem for manufacturers looking to expand their operations. Be sure you’re recognized as a solution provider by offering innovative solutions to optimize floor space. With the help of the Glide-Line 360 and our resident experts behind you, you can realize your client’s goals efficiently and cost-effectively.